Trust.Zone offers decent value for the buck. But there has to be a catch somewhere, right? Trust.Zone; an intriguing name, but does the name reflect the quality of this VPN? We’re about to find out. Trust.Zone operates under Trusted Solutions LLC, and is a VPN service based in the Republic of Seychelles, where it was founded in 2014. While this company is still relatively young, Trust.Zone is worth considering, as you’ll quickly discover; with competitive pricing, and numerous servers in 90 zones around the world on offer, there’s a lot to love about Trust.Zone. Trust.Zone has a competitive server count that’s comparable to bigger name VPNs, despite being such a young company. The bulk of their servers are spread over Europe and Northern America, with several servers covering Asia and Australia, as well as a server or two dotted around Africa and South America. 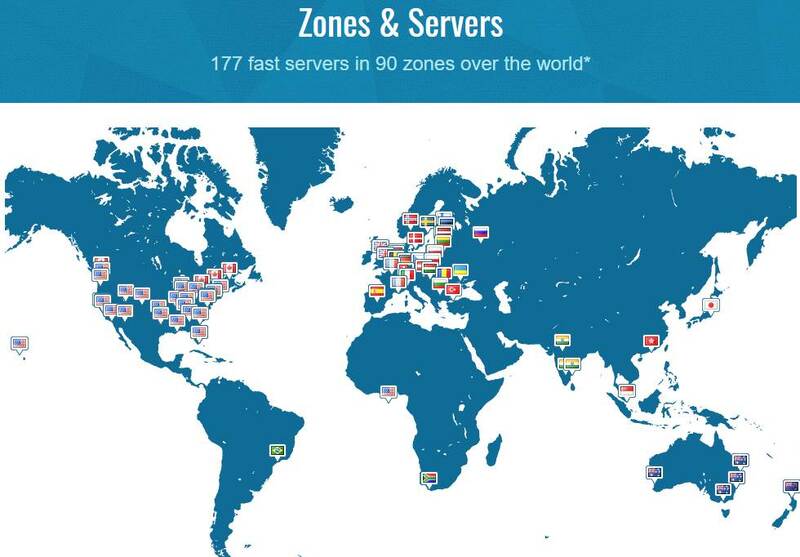 Currently, they have 177 servers in 90 zones located in 40 different countries. In a matter of a few months, they’ve expanded their server list by 30%, added 10 additional zones and 9 new countries. Their server offering is good to start with, but the best thing is, the list is growing. We used Trust.Zone to access websites that were restricted by our testers’ internet service providers. All websites were accessible when the VPN was turned on, establishing that the VPN is effectively able to spoof the IP address of our devices. VPN Speed & Performance: How Fast is Fast? Slower speeds are to be expected from any VPN service as data is routed to the VPN before being directed to the user; this is one metric of what separates a good VPN from a poor one. Latency – Ping tests showed amongst all servers a drop on speeds (but fairly regular drops). Downloads – Downloading from US and UK did not pose a problem; the download speeds were reduced by about 30%, acceptable dips in speeds for VPN services. Testing servers was a bit more problematic with drops of speed reaching about 80%. Uploads – The same story when it comes to uploads; US and UK servers appear to offer good speeds, while Asian servers still perform poorer. Thankfully, Trust.Zone VPN works with Netflix for US regions. Well, we should clarify; it works on some of the servers. 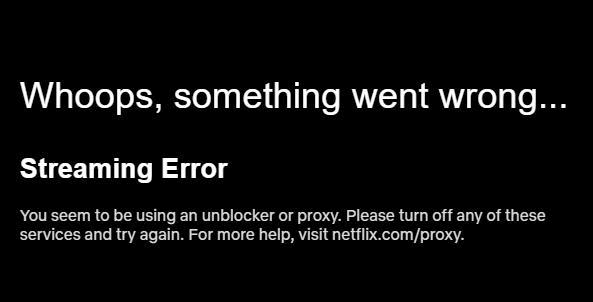 If the server you choose doesn’t work for Netflix streaming, there are plenty of others to choose from that will. Our tests reveal that Netflix should work; you may just have to hunt for a server that works. Because of this unreliability, Trust.Zone just missed out on making our list of top VPNs for Netflix. But it was a close call! Trust.Zone is a very affordable VPN solution. In fact, we wager that the price is the strongest pro for this VPN service. 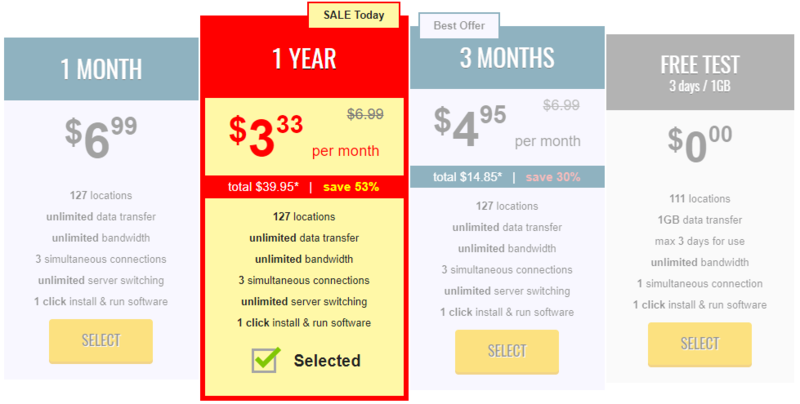 Pricing plans start as low as $3.33 per month for a year-long plan. Trust.Zone also offers a free 3-day trial for those who want to check out the service on offer before parting with any cash. Payment is a breeze considering that Trust.Zone accepts all major credit card providers and PayPal. Privacy advocates will be happy to hear that they even have an option to pay in Bitcoin for complete anonymity (as well as some alternative cryptocurrencies), which includes a nice 10% discount. Let’s not ignore the Christmas savings – $2.33 per month comes out to a mere $2.10 per month with crypto payments. When it comes to privacy, having crypto pay is one way to garner trust from the users and Trust.Zone clearly understands this. Great news! Apart from the subscription plan, Trust.Zone offers add-on features for more advanced consumers. Dedicated IP addresses in the UK go for as low as $3.33 per month. For users that utilize multiple devices, there’s an option to use an additional 3 simultaneous connections (standard plans only allow 3) for a low monthly rate of $1.91. Device Compatibility: Use Whatever You Like! Trust.Zone offers a relatively wide variety of device compatibility. Trust.Zone works with Windows, Mac, Linux, iOS, and Android, with an easy to use one-touch interface available for all platforms. Apart from those devices that are officially listed in the Trust.Zone website, there are known workarounds to enable Trust.Zone functionality in gaming devices such as the Xbox One and PS4. Product Interface: As Easy as One Click! 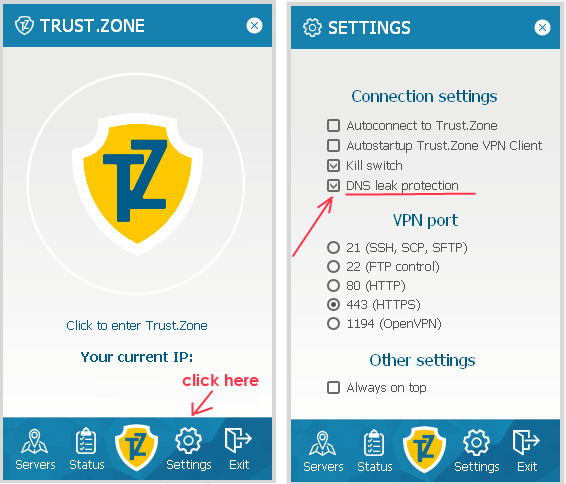 Using Trust.Zone VPN is about as simple as it gets when using a VPN. The UI is very user-friendly and connecting your device is as simple as clicking one button. This is great for users who are new to using VPNs, and is ideal to introduce such newcomers to securing themselves on the internet. Server selection is straightforward as well, with a menu of different servers organized per region, making selection a breeze. Trust.Zone allows the user, by default, to have up to 3 simultaneous connections on multiple devices; something that’s not commonly seen in lower-priced VPNs. Trust.Zone utilizes a virtually uncrackable 256-Bit AES encryption and allows the user a choice between two protocols: OpenVPN and L2TP. Trust.Zone’s offering of OpenVPN is an industry standard, considering that OpenVPN is used by most VPN providers and customers. OpenVPN is trusted because it’s continuously being monitored and upgraded by experts in security via its open source platform. 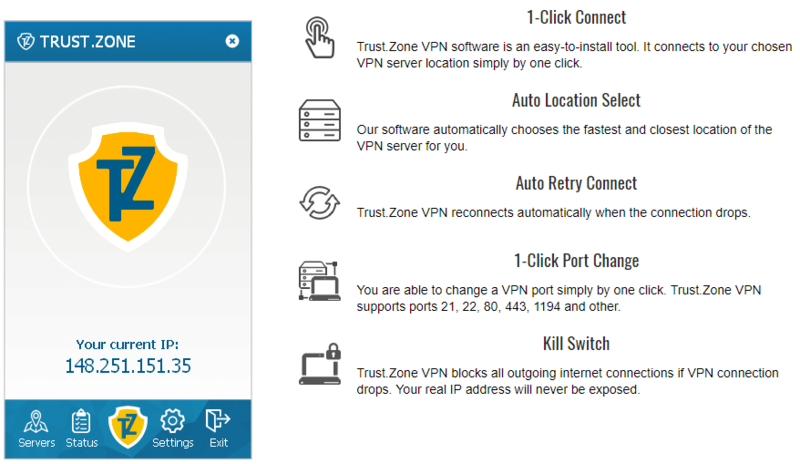 Trust.Zone also offers an automatic kill switch, that cuts your connection to the network when it detects that your IP is about to be exposed. Some VPNs require you to check off a kill switch box, but Trust.Zone simply removed that step. Since this feature should always be on, we believe it was a good decision by them. Trust.Zone claim that they don’t keep logs and operate with no leaks. All they collect are email addresses, which are used for communication purposes. The policy states they do not store log files but hints at storing usage data (which is retained anonymously). Trust.Zone has a warrant canary page where the company further proves they value user privacy. 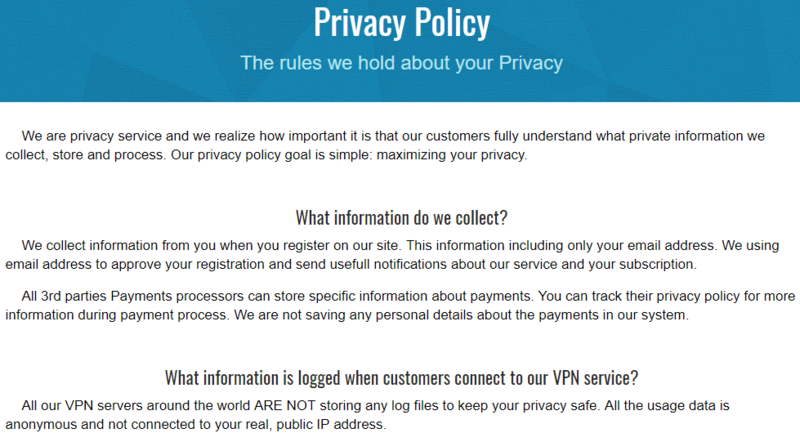 It’s pleasing to see a relative newcomer to the VPN space offer such transparency and user trust; it’s clear they care about their user’s privacy and protection, and throughout our experience, continued to prove that is the case. What we would like to see is audits from independent, third-party security firms like what NordVPN and VyprVPN have done. We tested Trust.Zone’s capability to conceal user’s real locations and IP addresses. We’re happy to say, we weren’t able to find any DNS or WebRTC leaks while using their service. The results were consistent on Windows, OSX, Linux, iOS and Android devices, so device usage shouldn’t matter – you should be covered. There is one minor issue – no support for IPv6! So if you’re using the latest tech and care about leaks then keep this in mind before paying! Great news though for those who make use of P2P file sharing and torrenting; Trust.Zone’s VPN manages to properly seed and leech torrent files, albeit with the expected slower download speeds. Considering that peer-to-peer file sharing is notoriously vulnerable to threats, the added layer of protection offered by VPNs that are great for torrenting helps protect your data from potential hackers. Moreover, Trust.Zone openly claims that their VPN service does not block or throttle any kind of internet traffic. It’s a great contrast to other VPN services that limit P2P activities on their servers. Refund Policy: 10 Days? What’s The Hurry? Trust.Zone allows you to refund up to 10 days after your purchase and 100% of the contract amount is returned, provided the user does not exceed 1GB of bandwidth usage. 10 days is a lot less than the standard 30 day policies we see elsewhere, and the added 1GB restriction is another concern. We strongly recommend users lean on that free trial before parting with any money, to ensure they enjoy the service. 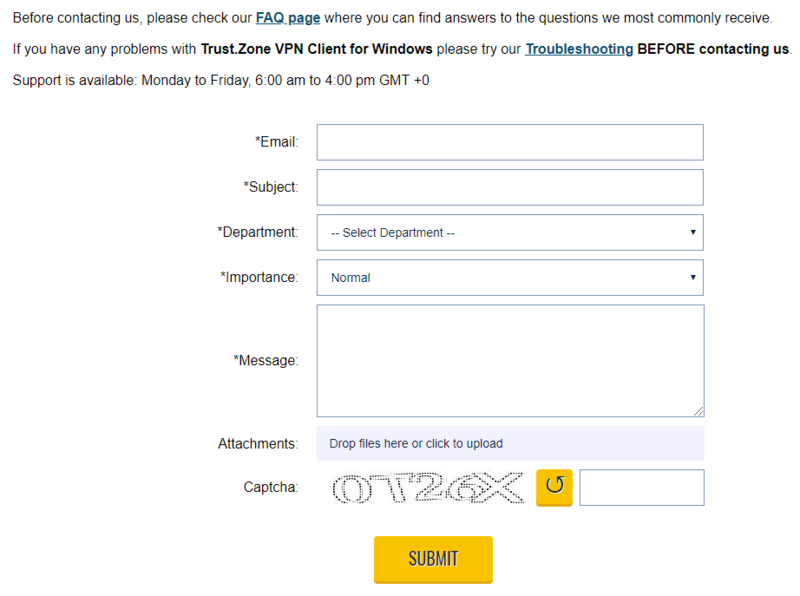 If there’s one thing we had to fault Trust.Zone for, it would be their customer support. As of writing this review, Trust.Zone only allows for ticket-based support. The support only operates Mondays to Fridays from 6 am to 4 pm (GMT +0). This is not a huge nail in the proverbial coffin since the waiting times aren’t terrible; that said, having to wait up to a day for a response can be a drawback for users looking to use their VPN immediately. What it lacks in after sales support is compensated by the information that they offer on their website. They provide clear instructions on downloading and installing Trust.Zone VPN on your computer, as well as configuring your computer for VPN use. A very comprehensive troubleshooting guide and FAQ is also listed on their website to address most common problems encountered by users. So yes, their support system leaves a little to be desired, but they managed to provide a comprehensive FAQ and knowledge base. Overall, a middling offering; not impressive enough to compliment, but it’s nothing we’ve not seen before. Trust.Zone operates under Trusted Solutions LLC, and is a VPN service based in the Republic of Seychelles, where it was founded in 2014. While this company is still relatively young, Trust.Zone is worth considering, as you’ll quickly discover; with competitive pricing, and numerous servers in 80 zones around the world on offer, there’s a lot to love about Trust.Zone. If you are aware of the surveillance alliances, your mind can be put to ease knowing Trust.Zone is based on the islands of Seychelles. Organizations such as the fourteen eyes have no jurisdiction here, thankfully. Even if such organizations forced Trust.Zone to hand over its server data, Trust.Zone doesn’t keep any logs of their customers. All in all, this means that using Trust.Zone is one fantastic method to protect your privacy and security. https://t.co/VrttUihJgF. Super cheap but really good because it’s based out of an island in Africa that doesn’t owe anything to the US so it’s virtually untouchable. …but this thread looked like an advertisement. Due to its competitively low prices, we came into this review not expecting much from Trust.Zone. Our testing of their VPN did nothing but prove us wrong. What’s that saying? “Don’t judge a book by its cover?” Well, consider us schooled. Trust.Zone is a strong contender due to its focused efforts in maintaining security and data privacy while being simple enough for consumers of any ability to use. Download speeds and latency could certainly see improvement, but speeds are always slowed down with whatever VPN product that’s used; overall, the speeds are more than substantial enough to keep any VPN user happy. With its easy-to-use intuitive interface, you really can’t go wrong with using Trust.Zone. Sure, their customer support might be lacking, but with the product being so simple, it’s entirely likely you won’t suffer any issues. Not convinced just yet? Give their free trial a go, and see what you think. The good thing is truszone has 3 days free option for usage. It’s not a TRIAL or so, I have never entered credit card details while 3 days usage. 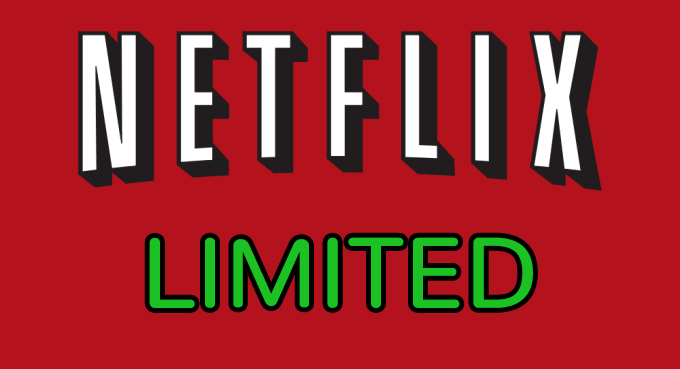 So, checked all servers speed, neftlix, chinese servers and etc. Works. Then I bought it. Hey Den, thanks for commenting. I agree a free trial system is easier for the user than a money-back guarantee. However, With Express or Nord, you really get what you pay for. These are big VPN companies and will abide by their 30-day money-back guarantee. Often times, they don’t even ask why you want a refund. A simple, “no questions asked” policy. So theoretically you could have a 30 day usage period for free 🙂 But as we mentioned before in our ExpressVPN review, we’re keeping the subscription because ExpressVPN simply works as promised. + Effectively masks IP address and without DNS leaks. + Does not keep logs. + Torrenting and P2P file sharing are allowed. +?Constant expansion of servers and infrastructure. + Some geo-unlock for Netflix. + Anonymous payment plus discounts. - Ticket based support only (M-F 6 am to 4 pm GMT+0). - No IPv6 leak protection.